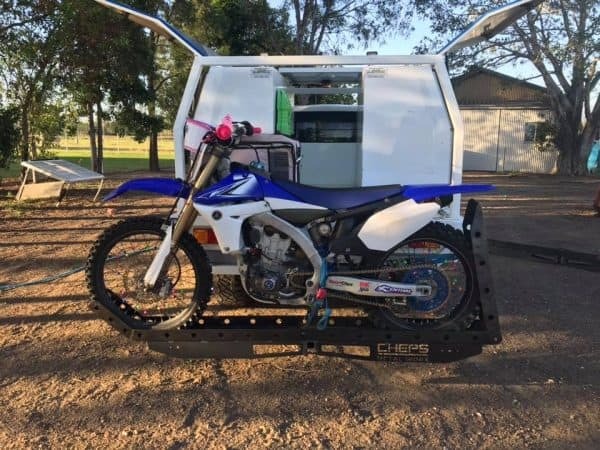 Check them out, our first product for 2019 the much anticipated dirt bike carrier to suit hayman reese receiver’s on motor vehicles. This is constructed from 3mm sheet which has been profile cut and folded to give it the strength it needs to perform. 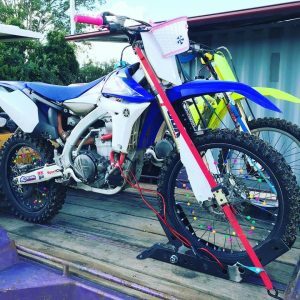 The 50mm box is 6mm thick to ensure the safety and security of the bike. They are powder coated black (some limited edition colours will come randomly throughout the year), and fitted with Australian made LED auto lamps led tail lights and number plate light, run into a 7 pin flat or round plug (please let us know in the additional order details section what you need when checking out). 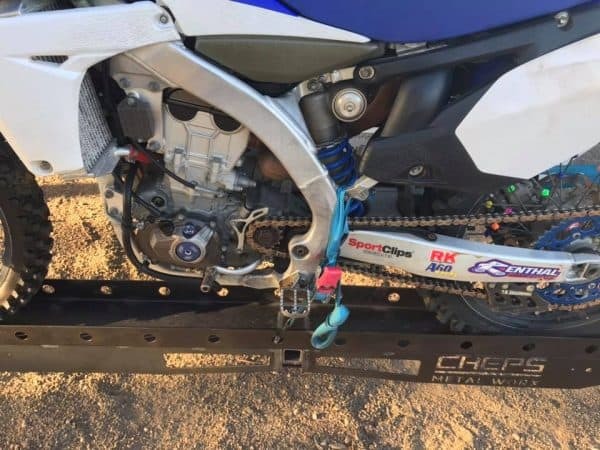 To tie the bike down you simply tie down from the foot pegs or on the frame where the subframe connects and run the straps back to the middle holes on a small angle towards the front, this keeps the bike riding into the ramp at the front. 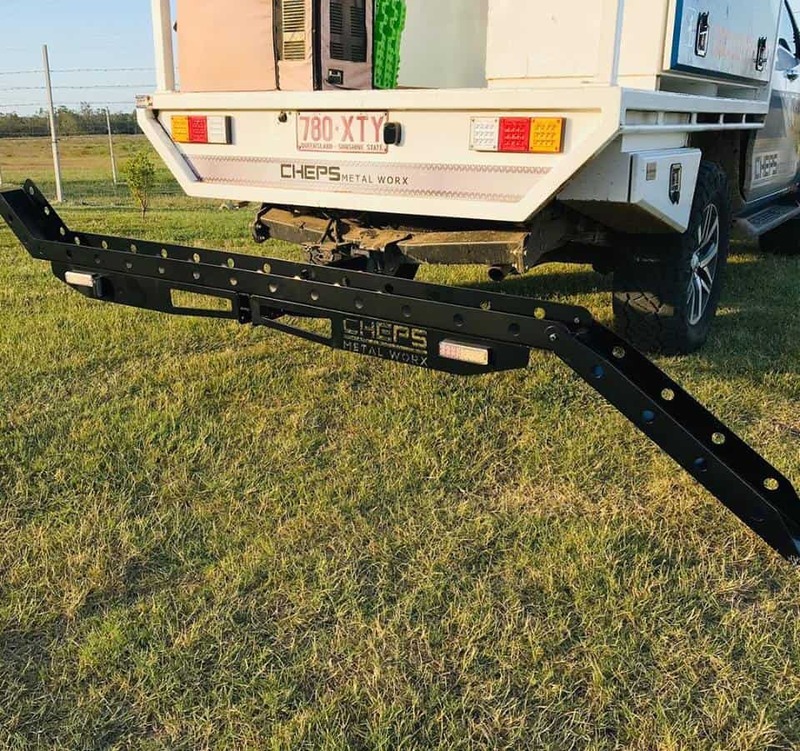 We also recommend if your factory tow bar needs packers to stop it rattling around that you get some packers for the carrier as it will move around over bumps and when trekking offroad. This setup is rated for 140kg, please check your manufacturers rating on ball weight before fitting. Do not exceed the manufacturers ball weight rating. NOTE: If you would like this item to be shipped please contact us for a price. 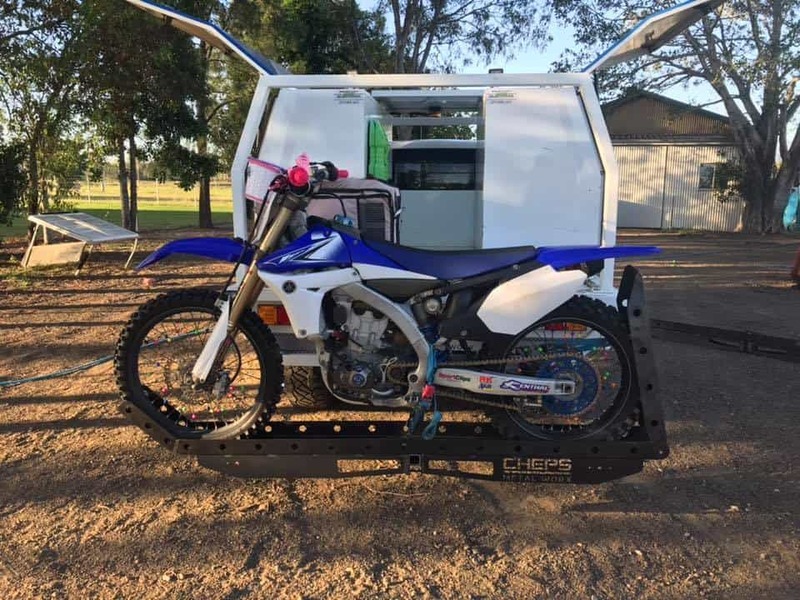 Product can be in and out of stock regularly depending on demand at the time, if you need it in a hurry please contact us and get an ETA on availability.